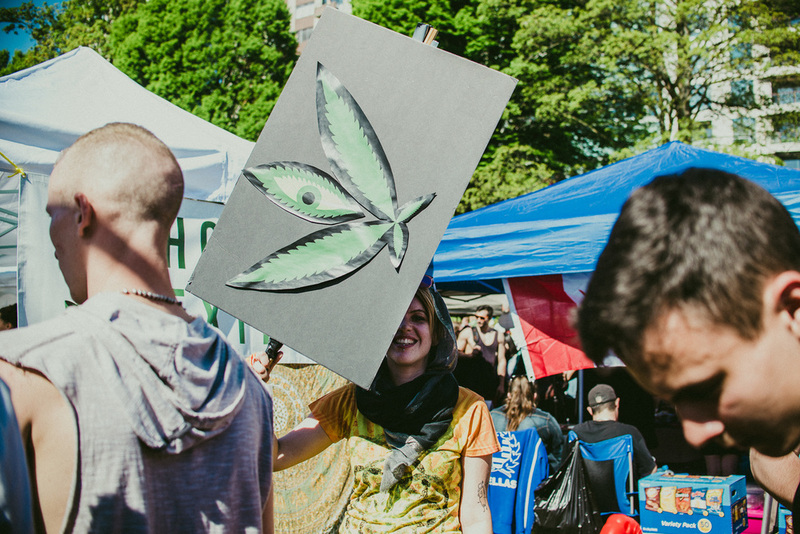 April 20, 2016 - Perhaps one of the most controversial and infamous events in Vancouver is the annual 420 protest, a peaceful congregation of marijuana reformists and supporters. 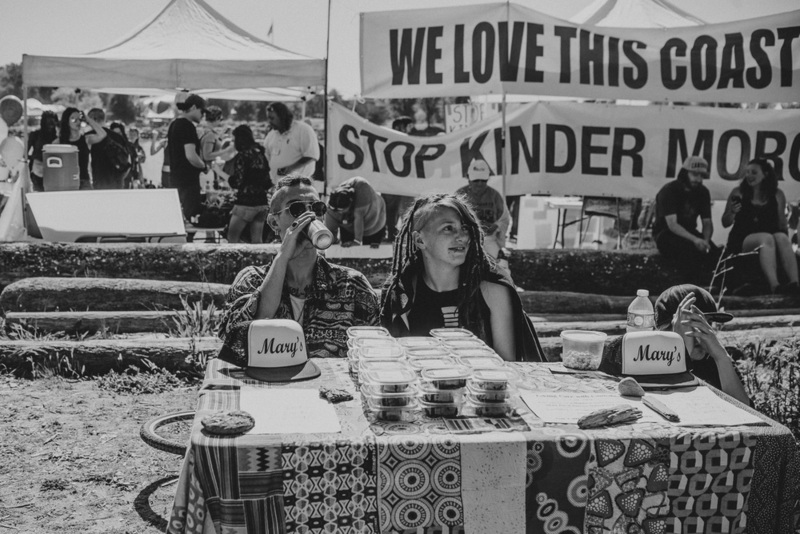 The event itself has moved from the Vancouver Art Gallery to Sunset beach due to its open-nature and lesser proximity to major downtown roads. Peak estimates ranged from a conservative 25,000 as quoted by the VPD to 50,000 as noted by SensibleBC spokesman, Dana Larsen. 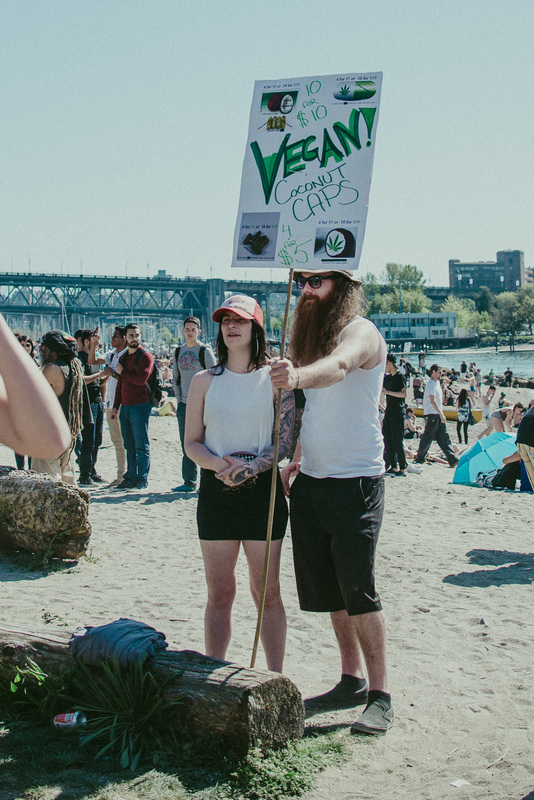 An estimated 25,000 - 50,000 people ended up showing for Vancouver's annual 420 event. 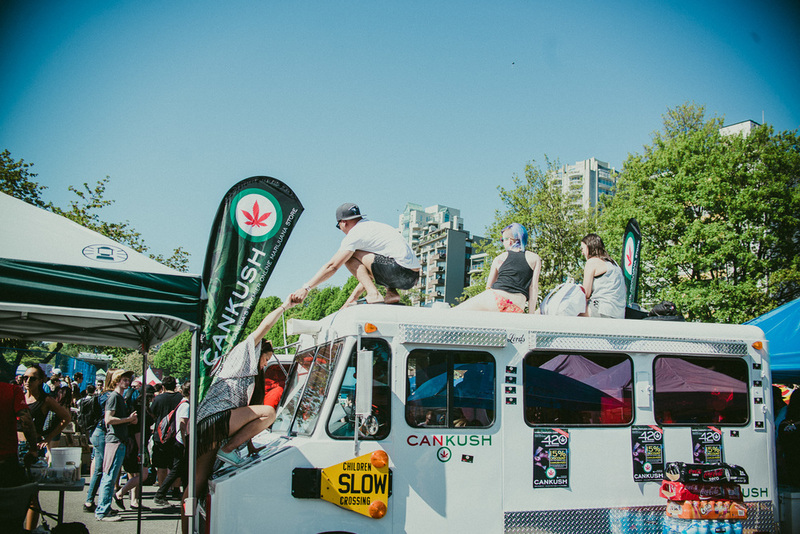 187 booths lined the seawall providing a plethora of cannabis products including but not limited to flowers, plants, joints, edibles, dabs and other paraphernalia. Unsurprisingly, many psychedelics which are often associated with stoner culture were present including LSD, psilocybin, salvia and DMT. 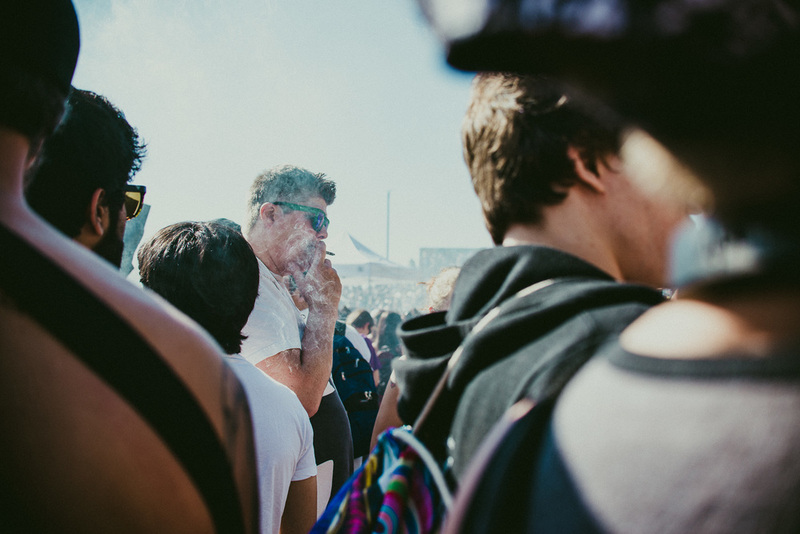 Free joints and dabs were also abundant, especially when 4:20PM hit. 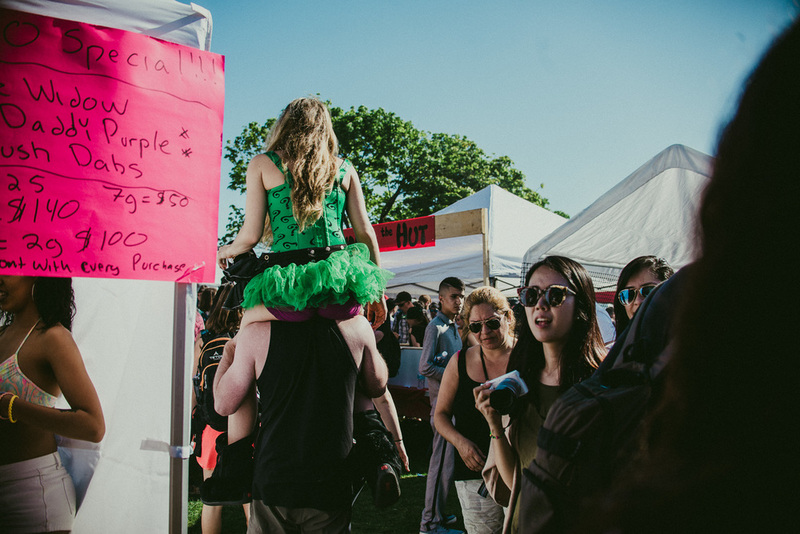 Many of the vendors were encouraged by Vancouver Coastal Health's chief medical officer, Patricia Daly to not sell edibles to minors due to the slow onset of effects and easy over-consumption, something that many of the organizers had agreed with. Weed edibles including brownies, cookies and rice krispies were available for purchase. Despite this, medical incidents were bound to happen - especially with the high April temperatures and lack of public water fountains. A mere 16 participants were admitted to St. Paul's Hospital, located downtown for the usual symptoms: dizziness, nausea and paranoia. A total of 25 incidents were reported by the VPD by 8PM (a major decrease from 100+ in 2015). Firefighters and police officers were on the scene as well - not making arrests due to the large scale, but rather for public safety and coordinating traffic at nearby intersections. The City of Vancouver stated that last year, taxpayer costs for these services cost an approximate $93,000. Many police officers, among paramedics and firefighters spent the day promoting public safety. Another major concern of the public was the abundance of youth who had skipped school to attend the event, even prompting the Vancouver School Board to make a PSA to faculty, students and parents. Concurrently, the current Minister of Health, Jane Philpott had announced in the House of Commons that legalization bills would be announced in the Spring of next year. She had stated that she is "proud to stand up for our drug policy that is informed by solid scientific evidence and uses a lens of public health to maximize education and minimize harm." 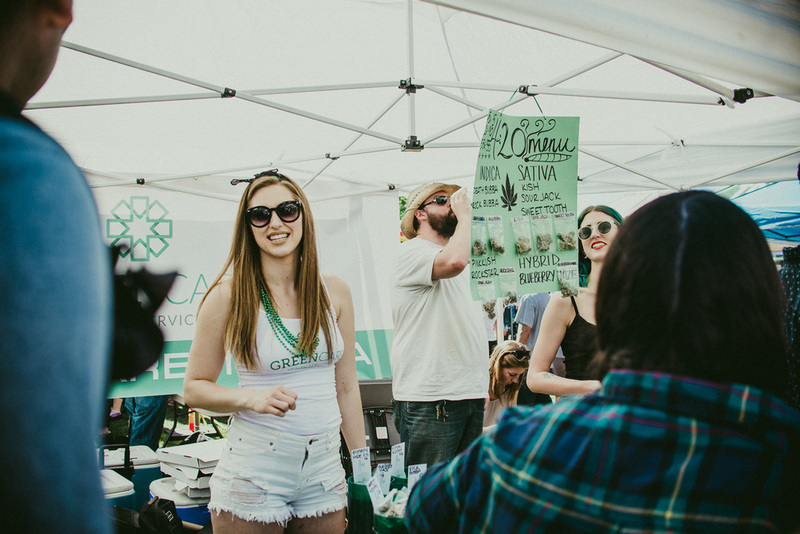 Where the industry will take its course after legalization remains up in the air - will it become regulated by the state or will the private sector prevail? Regardless, tax dollars are to be made as illustrated by earlier examples in states like Colorado, which was on track to make $125 million in 2015 - which could be sent to harm reduction, education and other public services.